1819: Alabama becomes a state and the legislature begins a search for a university campus site. 1827: The State of Alabama selects Tuscaloosa as state capital. 1828: The state purchases Marr’s Spring as the site for the new university. 1829: The Steward’s Hall is built as a dining hall for students; it later became known as the Gorgas House. 1831: The University of Alabama opens. William McMillan, librarian and “collector of specimens, “begins a natural history “cabinet.” 1848 Series of 19th century excavations conducted at the Moundville site result in first documentation of mounds. 1847: Professor Michael Tuomey begins first systematic collection of scientific specimens. 1860: Cadet Eugene Allen Smith enters the University of Alabama, receives his degree in 1862, and serves as Confederate drillmaster for the University of Alabama Corps of Cadets. 1865: Union troops burn the University of Alabama along with its library and Tuomey’s natural history collections. The Steward’s Hall (later the Gorgas House) is saved. 1873: Eugene Allen Smith returns as professor of geology, chemistry, mineralogy, physics and botany, after receiving his Ph.D. from the University of Heidelberg. He is also appointed state geologist, reestablishes the Geological Survey of Alabama, and continues systematic collections. 1878: General Josiah Gorgas is appointed president and moves into the Steward’s Hall with his family. The Gorgas House later serves as the University post office and infirmary where President Gorgas’s wife Amelia Gayle Gorgas was nurse and postmistress. The Gorgas family remained there until the 1950s. 1892: Professor Eugene Allen Smith helps organize a football team at the University of Alabama. XXXX 19?? : Dr. Smith receives the Rattlesnake Disc from a Moundville resident. 1905 and 1906: Archeologist C.B. Moore gets permission from local farmers to conduct excavations at Moundville, site of more than 20 Mississippian ceremonial mounds, many of which were under cultivation. XXXX 1906: The Greater University Campaign is launched. 1908: Professor Smith leads groundbreaking ceremonies for Smith Hall, a building designed on a smaller scale to resemble the great natural history museums in the north. Smith Hall was also to house the Geological Survey of Alabama as well as classes in geology, geography, and biology. 1910: Smith Hall, the first building to be erected on the University campus in the 20th century, is dedicated. 1923: The Moundville Historical Society is formed and efforts are under way to preserve the mounds. 1927: Dr. Walter B. Jones succeeds Dr. Smith as museum director and state geologist. 1928: Dr. Jones organizes Board of Regents of the Alabama Museum of Natural History, and they hold their first annual meeting at Smith Hall. 1929: The Jones family mortgages their home to purchase Moundville land from local farmers. The Alabama Museum of Natural History acquires 175 acres at Moundville. 1933: Mound State Park is established. Excavations are begun by the Civilian Conservation Corps. 1938: The park is renamed Mound State Monument The CCC, directed by the National Park Service and the Alabama Museum of Natural History, begins large-scale development of the site. 1939: The archaeological museum is dedicated and the park officially opens. Additional land is purchased by the museum. 1961: Dr. W.B. Jones retires. The Geological Survey moves out of Smith Hall and into its own building. The University of Alabama acquires the Alabama Museum of Natural History along with Mound State Monument. XXXX 1964: College of Arts and Sciences establishes the Office of Archaeological Research at Moundville. ?? XXXX 1978: Professor Herbert Boschung of the Biology Department becomes part time director of the Natural History Museum. Dr. John Hall is employed to set up science education programs. ?? XXXX 1983: Professor Douglas E. Jones is named director of the Alabama Museum of Natural History. Carey Oakley comes here at some point. 7 Coach Paul Bryant dies. Joe Vogel? XXXX 1985: The Alabama Museum of Natural History is restructured and moves from the College of Arts and Sciences to the Office of Academic Affairs. XXXX 1988: The Paul W. Bryant Museum is dedicated to the University’s famous coach; Emily Moore is appointed curator. The Alabama Museum of Natural History acquires Dr. Doug Phillips and his Discovering Alabama video series. ?? XXXX 1989: Dr. Edward Moore is appointed acting executive director UA Museums. (Alabama Museum of Natural History and Paul W. Bryant Museum) Dr. Douglas Jones is acting vice president for Academic Affairs. Dr. John Hall, assistant director of the Natural History Museum. The park at Moundville celebrates its 50th anniversary with an exhibit on the CCC, a meeting of Southeastern archaeologists, and holds the first annual Moundville Native American Festival. 1990: The University of Alabama Museums is formally organized. Alabama Natural History Society is formed and the Board of Regents is reestablished. The Alabama Museum of Natural History publishes the first issue of NatureSouth as a benefit of membership. Educational programs of the Alabama Museum of Natural History include the following: Museum Expedition, Exploring Alabama day field trips. Discovering Alabama video series, Tuomey lecture. Special Saturday science programs, Moundville Native American Festival, special guided tours of Smith Hall and Moundville Archaeological Park. 1991: The name Mound State Monument is changed to Moundville Archaeological Park. The Board of Regents purchases the 130-acre Harrell Station Paleontological Site. The Council of Curators for the Alabama Museum of Natural History is established. 1992: Dr. Douglas Jones presides at groundbreaking ceremonies for the new Scientific Collections Building. XXXX 1993: Ken Gaddy becomes director of the Paul W. Bryant Museum. 1994: Meeting begin to reorganize the University of Alabama Museums system. 1995: The new structure for the University of Alabama Museums divide the organization into three separate and equal units: the Alabama Museum of Natural History, Moundville Archaeological Park, and the Paul W. Bryant Museum. Paul Jones is named director of the park. Dr. Ian Brown is named part time director of the Alabama Museum of Natural History. The Division of Archaeology becomes the Office of Archaeological Services headed by Carey Oakley. 1996: Dr. Douglas Jones and Dr. John Hall retire from the University of Alabama Museums. 1997: Dr. Gordon Davis is appointed executive director of the University of Alabama Museums. Dr. Ian Brown resigns. Dr. Davis resigns. XXXX Need to research & update this time period! 2013: Dr. Dana Ehret is appointed Curator of Paleontology. 2014: Dr. Bill Bomar is appointed executive director of the University of Alabama Museums. Lydia Joffray appointed Director of Gorgas House. 2015: Dr. John Friel is appointed Director of Alabama Museum of Natural History. 2016: Dr. John Abbott is appointed Director of Museum Research and Collections. Dr. Alex Benitez is appointed Director of Moundville Archaeological Park.  2017: UA Museums again becomes part of the UA College of Arts and Sciences.